A precious combination: Glass and pewter for the extraordinary home decoration. The pewter ornaments are hand painted and are available in different colours or with antique finish. 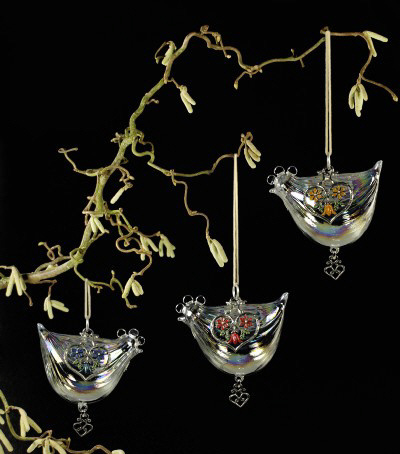 An exceptional decoration object for hanging into bouquets, branches, placing at the table and many more.